Pokemon Regional Championships lure 1,200 to the Oregon Convention Center for a two-day tourney. They want to be the very best, like no one ever was. 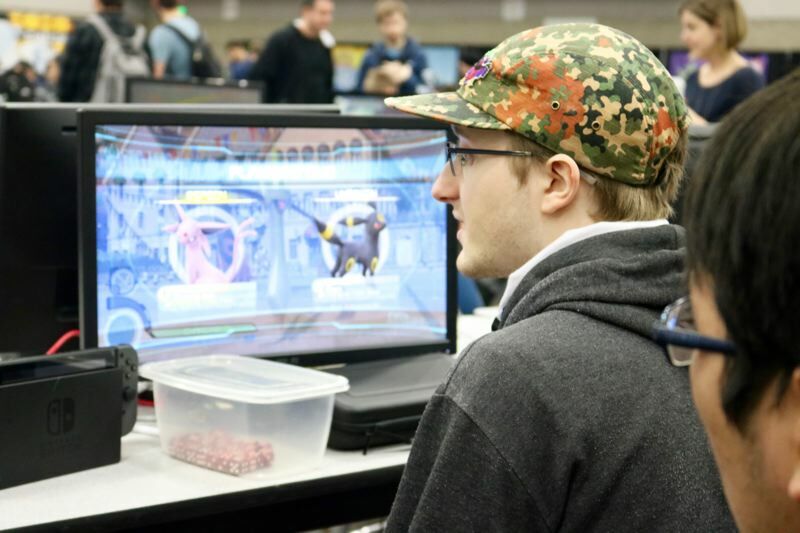 But even with $50,000 in prizes and a berth at the World Championships up for grabs, the Northwest's top Pokemon players say the real draw is the kindness of the community. 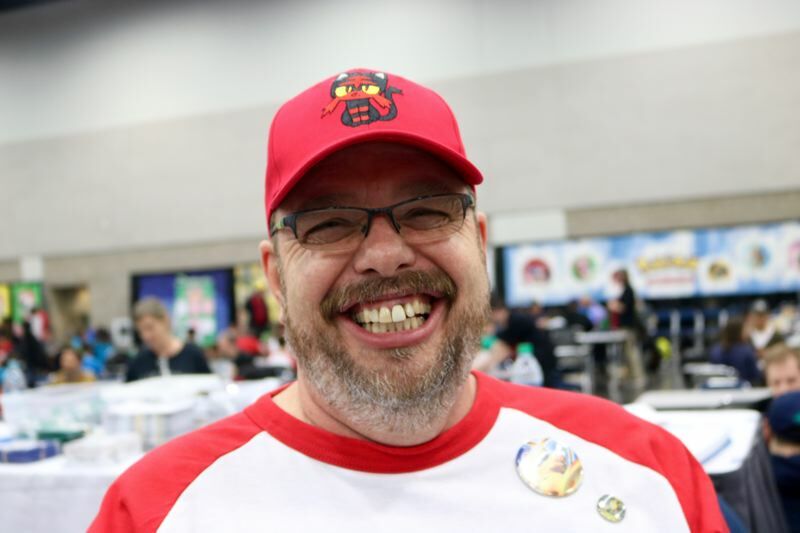 "It's strangers helping people out, and it's more family oriented," commented Chris Clanton, a gym leader and guiding force behind this year's Pokemon Regional Championships at the Oregon Convention Center in downtown Portland. 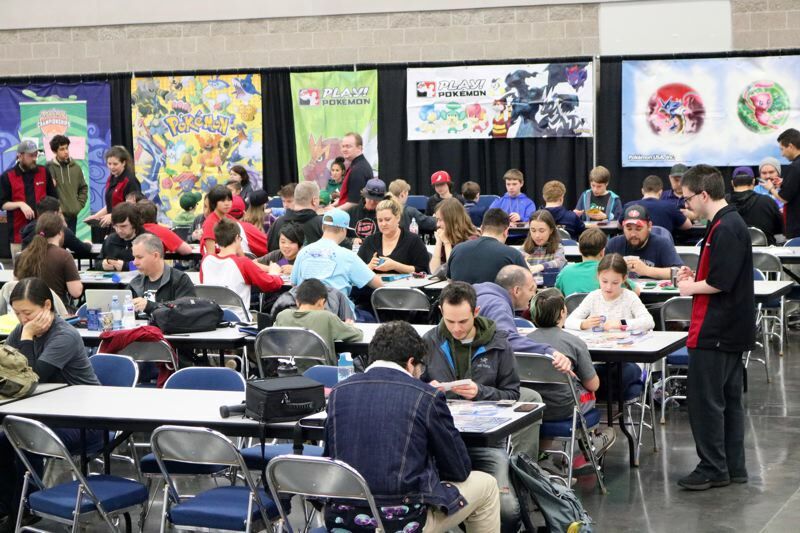 The competition, an annual occurrence in Oregon for more than a decade, lured roughly 1,200 fans of the Japanese trading card game to the two-day event starting Saturday, March 24. "It brings a lot of different people together," said Paul Yeung, a Milwaukie resident who was commentating a livestream of some of the matches. "They're very inclusive." His son, Aiden, prefers the newest video game version, Pokemon Sun and Moon, as "the cards are boring for me, because it only takes a minute or two to get used to the decks." "One or two days," Aiden admitted under duress. The 10-year-old has been playing for three years, and his favorite Pokemon is a dragon named Flygon. "People think it's a kids game, but two-thirds (of the players) here are all 15-plus," noted Clanton, a southeast Portlander whose nickname, Mr. Raichu, is printed on his glossy business cards. Raichu is an evolved form of Pikachu, the most famous of the fictional creatures that are used to do battle. "The kindness of the players and the strategy makes it really interesting," added Dan Nash, 15, whose return ticket for Fairbanks, Alaska, made him the most far-flung participant in the tourney. "Normally, I'd be anxiety ridden in a social environment." 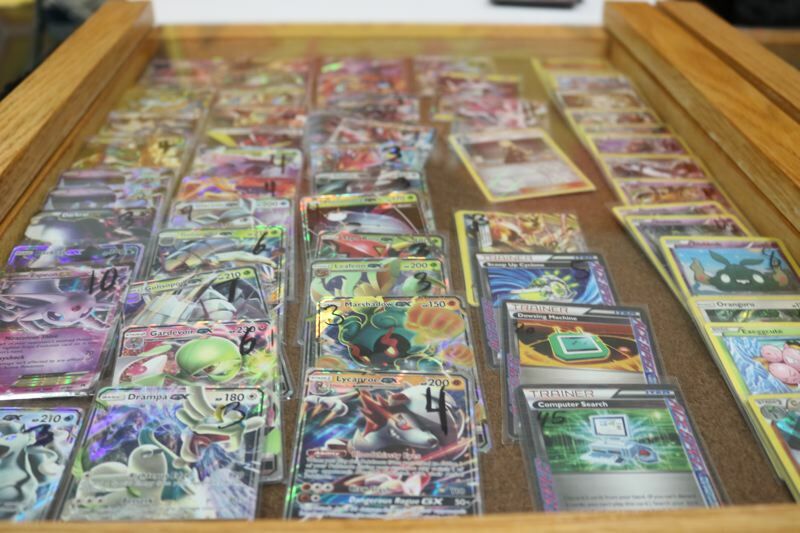 While a majority of duelists still duke it out with paper playing cards, this year's regional competition also featured games of bingo using Pokemon Go, a smartphone app turned worldwide phenomenon that was released in 2016. Other players huddled along a bank of computers, their games broadcast to the world with the help of several color commentators dressed smartly in pastel shirts and ties. "Just figure out your patterns," advised a gamer registered as NinjaFalcon 2, "and don't rage over a loss." The man behind the username — Tony DeWitt, 20, — traveled from Seattle to play a fighting focused video game called Pokkén on the Nintendo Switch. 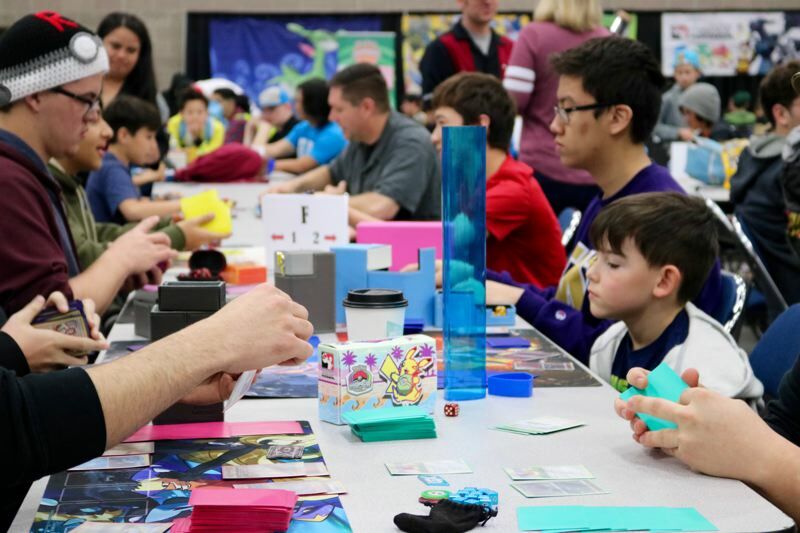 Pokemon tournaments separate participants based on their birthday — juniors are players under 10, seniors are ages 11 to 14, and the sky's the limit for masters who are 15 or older. And they're not just contending for bragging rights. A system of points is awarded based on wins and participation in various contests. Masters need 400 points to compete at the World Championships to be held in Nashville, Tennessee this summer. Iridian Ramirez, 21, only has about 40 points. Originally hailing from Woodburn, she and her fiance made the trek from Medford, though they don't care too much about the wins and losses. "This pretty much came from nostalgia," she said.